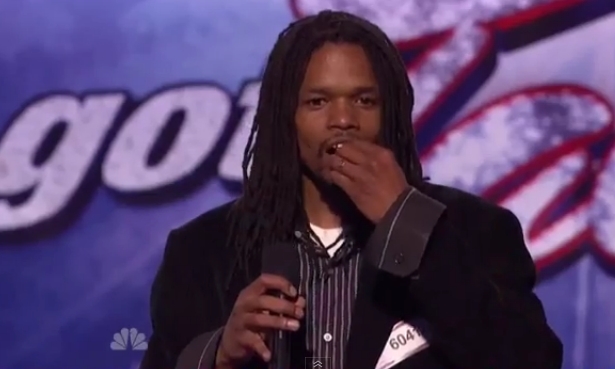 Landau Eugene Murphy Jr. is a crooner. The purpose of America’s Got Talent is to find a potential Las Vegas act. It is difficult not seeing a man with his immense talent on a Las Vegas stage. I say this because there seems to always be a place for a 40′s/50′s throwback. I don’t think the crooner act is tired or antiquated. Murphy’s delightful voice can help restore the genre to Vegas. Murphy, a car washer from West Virginia, has blown away the judges week-after-week performing classics by crooners like Sinatra. And, on top of it all, he is so wonderfully humbled by the praise that it almost seems that he doesn’t realize the talent he has. You can’t help but root for the guy, and it is not difficult to because he is both genuinely talented and perfectly kind. Besides his unquestionable talent, it was his kind, good-hearted nature that propelled him to the top of the show. Americans always vote for the underdog with the story about overcoming life’s difficulties. Landau, who was homeless at a point of his life, represented this picture, but, he did not lean on it. No, instead, he performed with gusto every time out and always seemed to appreciate the applause and comments. He worked hard and his hard work paid off. And, now, after the end was near, he will start a new life as a professional crooner, headlining an act in Las Vegas. I couldn’t be happier for him. This performance above of “My Way,” originally by Paul Anka (but, of course, made famous by Mr. Frank Sinatra), “sealed the deal,” as judge Howie Mandel said. It wasn’t only the pure perfection of the notes that did it for me, but also it was a noticeable emotion that pushed out the most powerful and passionate notes in the song. Landau sang it like he meant it. And, he did mean it. Congrats to Landau Eugene Murphy Jr. and I am looking forward to buying an album of Murphy standards. Many congrats to Landau. Well deserved win! I can’t help but wondering what Paul Anka thinks about writing the song ‘My Way’ for Sinatra & hearing it being sang so well by Mr Murphy.